ROME, Aug 14 2017 (IPS) - African migrants who arrive on Yemen’s shores –that’s if they are not forced into the sea to drown—risk to fall in the hands of criminal networks who hold them captive for several days to extort money in exchange for their “freedom,” according to UN sources. Informing from Aden, Yemen, IOM on 10 August said that up to 180 migrants were reported to have been forced that day from a boat by smugglers off the coast of Yemen. Five bodies had been recovered so far and around 50 were reported missing. This tragic incident came barely 24 hours after smugglers forced more than 120 Somali and Ethiopian migrants into the sea as they approached the coast of Shabwa, a Yemeni Governorate along the Arabian Sea resulting in the drowning of over 50 migrants. The migrants had been hoping to reach countries in the Gulf region via war-torn Yemen. According to IOM, a total of 300 migrants have reportedly been forced from boats over the past two days by smugglers off the coast of Yemen – many feared dead or missing. See: Smugglers Throw Hundreds of African Migrants OffBoats Headed to Yemen. “The survivors told our colleagues on the beach that the smuggler pushed them into the sea when he saw some ‘authority types’ near the coast,” said Laurent de Boeck, the IOM Yemen Chief of Mission. “They also told us that the smuggler has already returned to Somalia to continue his business and pick up more migrants to bring to Yemen on the same route. This is shocking and inhumane. The suffering of migrants on this migration route is enormous. Too many young people pay smugglers on the false hope of a better future,” de Boeck added. Migration of Africans to Yemen is not new. In fact, Mueller said to IPS that the migration trends between the Horn of Africa and Yemen are centuries old, and facilitated by the geographical proximity. In 2014, there were an estimated 270,000 Somali refugees and several hundred thousand Ethiopian migrants in Yemen, she informed, adding that while the Somalis had sought refuge in Yemen, the Ethiopian migrants for the most part were focused on economic opportunities, either in Yemen or in Saudi Arabia. 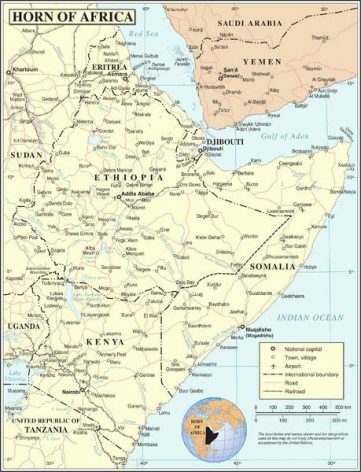 Somalis fled the area, and many of them headed east towards the Port of Mukallah, and eventually took boats to Somalia, said Mueller. The Ethiopian migrants seemed to head north into Yemen, trying to avoid the conflict hotspots, with the intention of reaching Saudi Arabia. 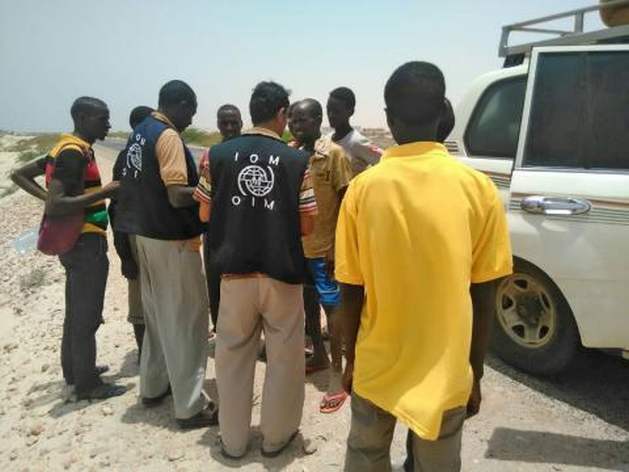 For the first six months of 2017, we encountered almost 2,000 migrants per month when our mobile teams would patrol the coastal roads in Lahj and Shabwa, said Mueller, adding that is just two governorates that we cover, and we are just one agency. Reporting from Aden, Yemen, IOM on 10 August informed that 160 Ethiopian migrants had been violently forced into the sea off Yemen’s coast in the morning of that day. This tragic incident came one day after the presumed death of 50 Ethiopian and Somali migrants during a similar incident, the UN migration organisation informed, adding that as with yesterday (9 August), this tragedy took place off the coast of Shabwa, a Yemeni Governorate along the Arabian Sea – although in a different location and closer to the shore. Every year, thousands of migrants risk their lives on this life-threatening route towards the Gulf countries through Yemen, a country in crisis. The journey and the situation in Yemen is extremely dangerous for migrants, IOM said.